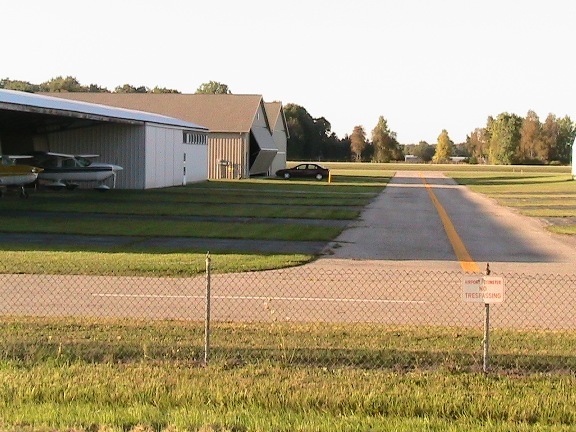 Mason Jewett Field (ICAO: KTEW, FAA LID: TEW) is a public use airport located one nautical mile (1.85 km) southeast of thecentral business district of Mason, in Ingham County, Michigan, United States. It is owned and operated by the Capital Region Airport Authority, which also oversees the nearby Capital Region International Airport (LAN) in Lansing, Michigan. According to the FAA's National Plan of Integrated Airport Systems for 2011–2015, it is categorized as a general aviation airport. Although many U.S. airports use the same three-letter location identifier for the FAA and IATA, this airport is assigned TEW by the FAA and no designation from the IATA. In early 1944 runway 9/27 was constructed at 2,800 feet (853 m) with a turf surface. An existing hip roof barn at the west end of the airfield was converted into an airplane hangar capable of holding three or four planes. A hangar with room for six planes, was built at the northwest end of the airport. A Civil Air Patrol Squadron plane from Lansing was the first to land on the new runway. In October 1944 Stanley Keck became the first operator of the new Jewett Flying School. A 2,500 feet (762 m) north-south runway was completed at the east end of the existing runway. An increase of privately owned aircraft based at the airport prompted the construction of five tee hangars along Eden Road in mid-1946. The Sycamore Valley Flyers flying club operated at the airport from 1946 to 1966. In 1948 Laylin Jewett established an aircraft maintenance facility at Jewett Field. In fall 1949 lights were installed on runway 9/27. A model airplane hobby shop opened at the airport in the winter of 1949. By 1950 there were more than 30 planes based at the airport. In September 1950 the airport owner, Arthur Jewett, decided to close the airport. 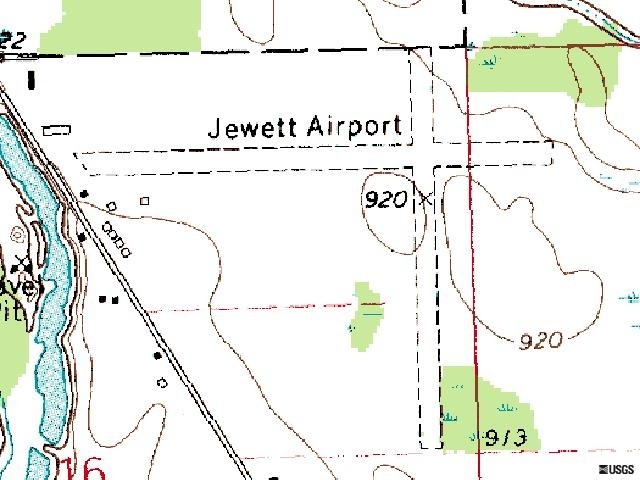 By the mid-1950s Jewett reopened the airport with Bartlett Smith as Assistant Airport Manager. Harold Manville operated a flight training and aircraft rental business at the airport from 1968 to 1974. In October 1973 a two-year disagreement over a lease on the airport was settled between Arthur Jewett, and the airport's operator, Harold Manville. In November, the Michigan Aeronautics Commission granted a license to Arthur Jewett, allowing the facility to remain in operation. By 1973 Arthur Jewett reported losing $150,000 in operating the airport. 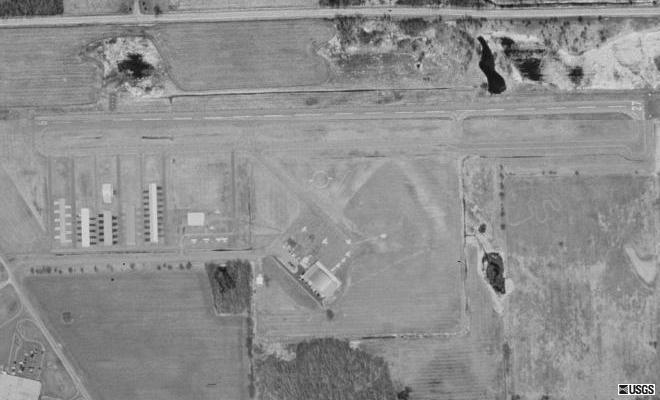 In March 1977 the Capital Region Airport Authority purchased the 180 acres (73 ha) of airport property from Arthur Jewett as a reliever airfield for Capital City Airport (now Capital Region International Airport) in Lansing. The existing buildings at the airport were removed and a new 3,000 feet (914 m) asphalt runway 9/27 was constructed. The north-south runway was decommissioned and a new terminal was built on its location. During the next decade, the Capital Region Airport Authority purchased approximately 100 acres (40 ha) of adjoining property, allowing the runway to be lengthened to 4,000 feet (1,220 m). A lighted parallel taxiway was also constructed. The Experimental Aircraft Association, Chapter 55, moved to Jewett Field in 1984. The Association built the airport's Chapter Hangar in 1985, which provides space for members' aircraft, a workshop, and a meeting room. In 1998 Jewett Field operator, AeroGenesis Aviation, built a maintenance hangar and office building at the airport. 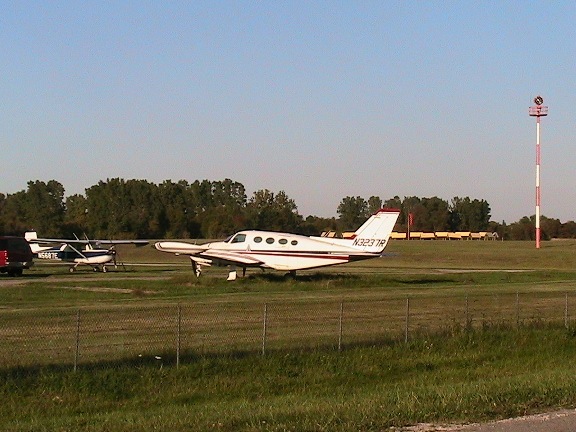 In June 2009 Lansing Community College signed a 5-year lease for a hangar at Jewett Field to house the college's aviation mechanics program. The program is based out of nearby Capital Region International Airport, with potential displacement due to that airport's expansion plans. By February 2010 the June 2009 lease was under litigation. In February 2011 the hangar was purchased by Lansing Community College. In May the college announced that it would move its aviation mechanics program from Capital Region International Airport to the Jewett Field hangar. Aviation Days is an annual event at Jewett Field that showcases vintage aircraft, including homemade planes, antique passenger planes, and World War II-era military aircraft. The event is organized by the Experimental Aircraft Association, Chapter 55, in Mason. 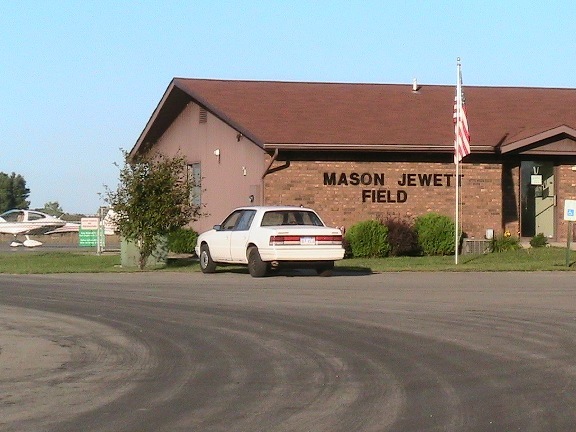 Mason Jewett Field covers an area of 275 acres (111 ha) at an elevation of 920 feet (280 m) above mean sea level. It has one runway designated 10/28 with an asphalt surface measuring 4,004 by 75 feet (1,220 x 23 m). The airport is staffed Monday through Friday from 7AM until 4PM. Currently Jewett Field has hangar space for more than 80 airplanes. For the 12-month period ending December 31, 2010, the airport had 10,302 general aviation aircraft operations, an average of 28 per day (a decrease from 17,822 operations in 2009 and 20,960 in 2008). At that time there were 80 aircraft based at this airport (an increase from 64 aircraft in 2009): 89% single-engine, 6% multi-engine, 3% jet and 3%ultralight. The closest freeway is US-127, which is approximately 0.75 miles (1.2 km) west of Jewett Field. The airport is accessible by road by taking US-127 exit 64 (Kipp Road) east to Eden Road. State highway M-36 is approximately 0.5 miles (0.8 km) north of the airport. The Capital Area Transportation Authority (CATA) provides bus service from Lansing to Mason. Route 46 runs weekdays from downtown Lansing to the southside of Mason, near the airport. The Mason Connector runs weekdays and Saturday from south Lansing to Mason. On September 17, 2010, a Tecnam P2004 Bravo single-engine plane lost power and crashed in a field north of the airport shortly after takeoff, crushing to nose of the plane. The pilot was hospitalized.